Following on from last week's post about the use of colour in web design and branding, we just couldn't resist this beautiful infographic that shows 10 famous artists and the colour palettes they used. Once you've chosen the main colours you're going to use, the shading and hues are endless as these charts show. They also show the breadth and beauty of the colour palette - and make you want to go and check out the paintings. We could stare at this one all day! 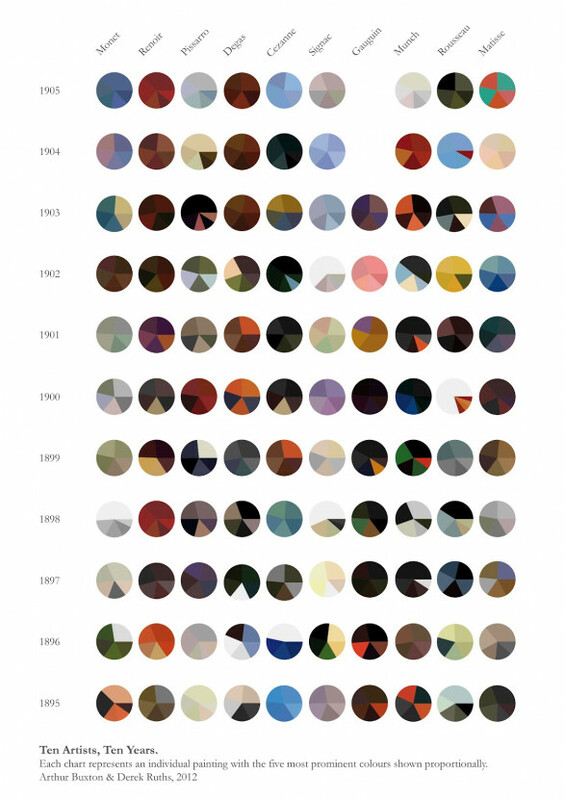 10 Artists, 10 Years: Color Palettes infographic by ArthurBuxton.